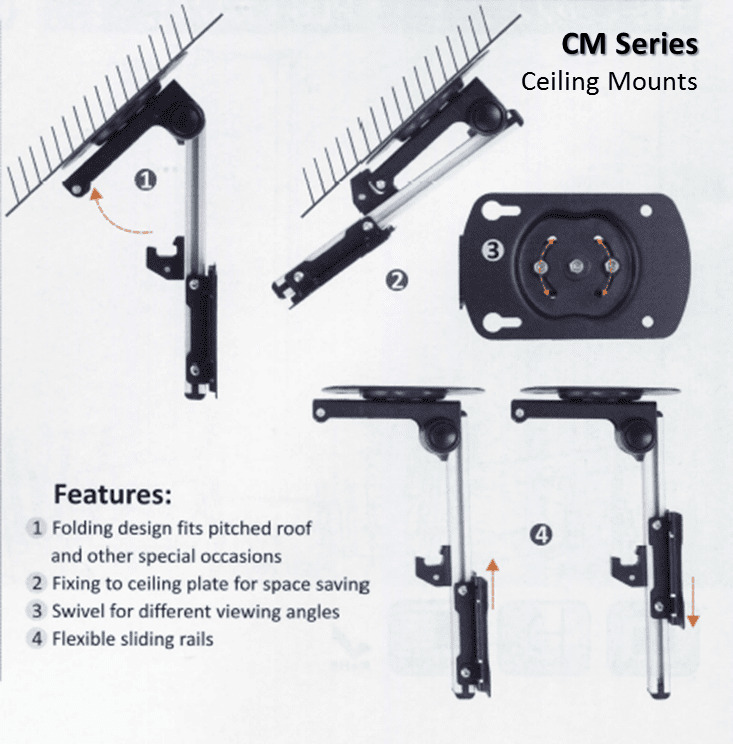 Here's a simple, effective and very affordable way to mount your smaller LCD/LED TV neatly on ceiling. 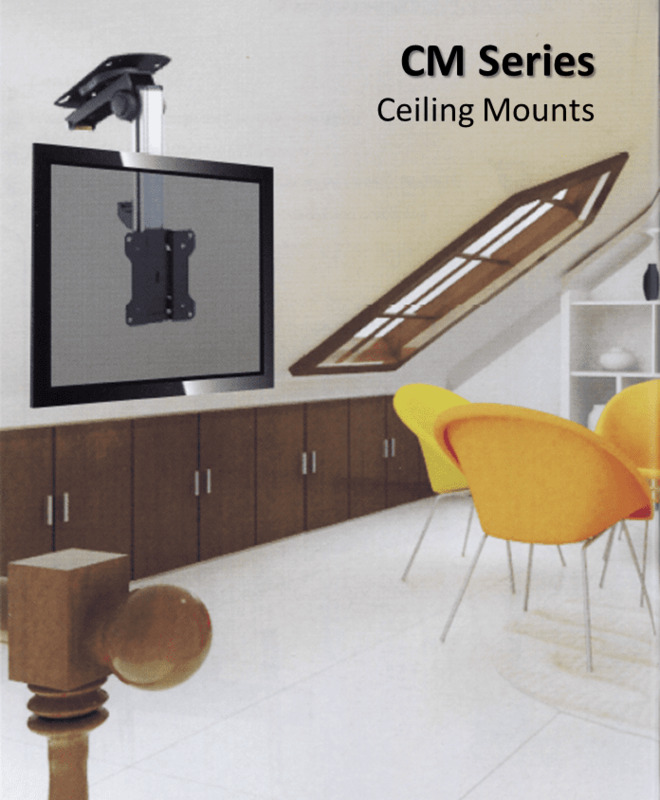 Most customers use this tilt and swivel TV mount in their kitchens but it's also great for garages or any area where a ceiling mount TV is needed. 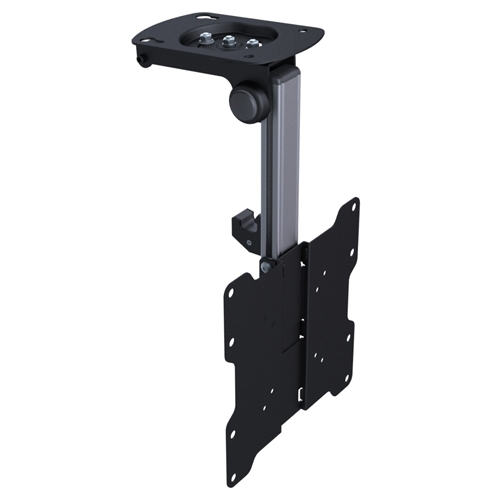 Like all our TV Mounts, the TSM-CM is made with high grade quality rugged materials and includes all mounting hardware. 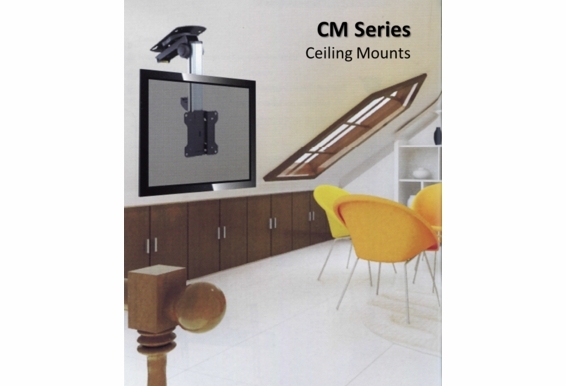 I'm looking for a tv mount for the ceiling that I can gold the tv up to the ceiling so it is out of the way. 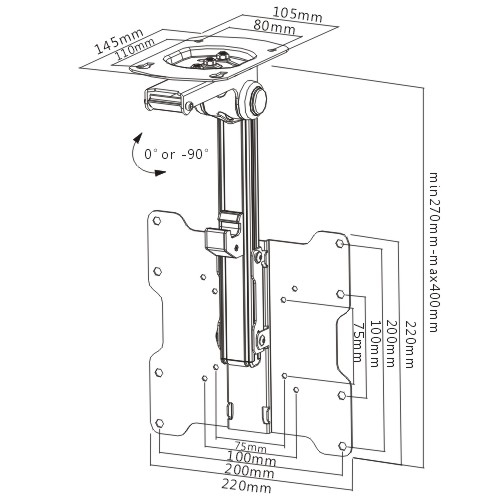 Will this hold a 27-32" tv to the ceiling flat and then flip down when I want to use it? 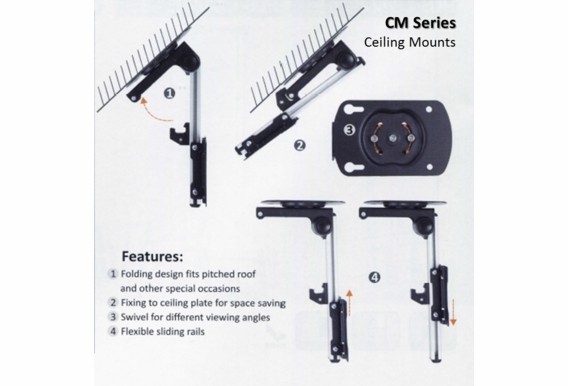 Is this ceiling mount suitable for RV use? Will it stand up to vibration? 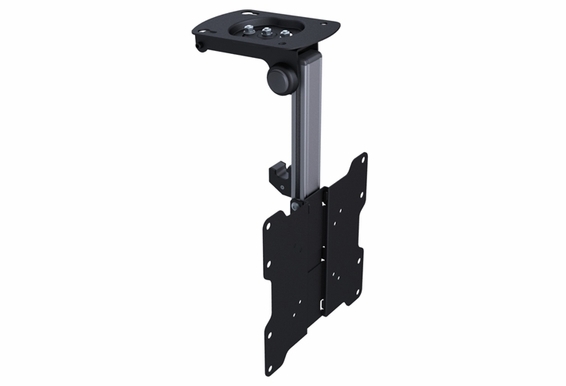 I'm looking to replace an older TV in our motor home that mounts beneath a hanging cabinet. 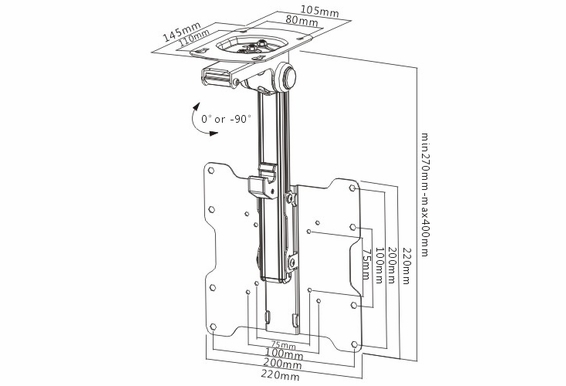 what is the max the tv can swivel for viewing 180 degree, 360?